I’m sure we can agree the Corvette and Camaro are simply amazing sports cars and should never be deleted from the lineup, but one car that is being given its outright funeral procession this year is the only car in the GM package of models that comes to us as a car that has exactly what we’ve wanted on the road. The car I’m talking about is the Chevrolet SS which has been an underappreciated and perfect car for the road that we’ve allowed to be sent off to its untimely death at the end of this model years. 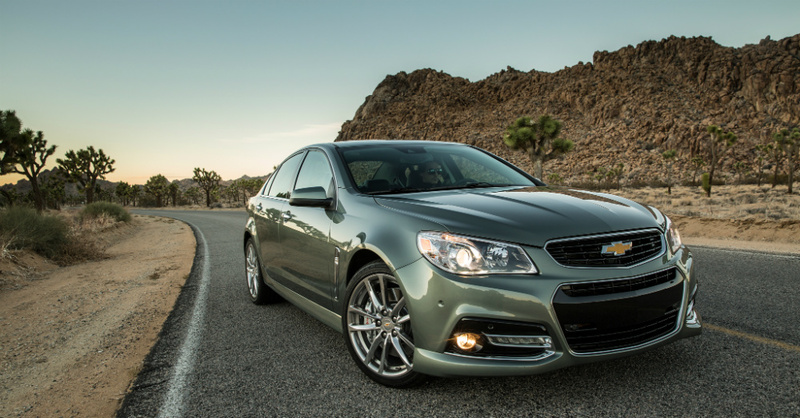 The Chevrolet SS has been the most honest offering of a pure sports sedan that we currently have on the market. This car has a naturally aspirated V8 engine with massive power, a stick shift to allow you to enjoy rowing your own gears and a balanced chassis and suspension that beg you to toss this car all over the road. This could easily have been the perfect driving sedan and could have bene the car to give BMW a serious challenge when it comes to the pure power and performance of a real RWD sports sedan that you can love. Unfortunately, GM didn’t do any favors to the Chevy SS which made it feel more like the company would have rather put this car in the back of its mind and forget it was part of the market. While there probably wasn’t a huge call for this car on the market because many people didn’t buy it, it’s still the car that could have been a direct competitor with some of the small to medium models from the BMW lineup to make sure there was a different type of vehicle for you to drive on the road. In fact, the Chevy SS is such an honest car GM almost had to get rid of it. Most of the other sedans that carry similar power and capability are tuned electronically come with automatic transmissions and have turbocharging in the engine. This makes a difference in this class and now that BMW has added the M badge to nearly every model line they make without stopping, the performance moniker from this brand no longer seems special. With sales that have kept it from being worth a further investment and no longer part of the market which means we’re seeing the final act of a car that was actually amazing from General Motors. There have been several cars of this ilk that have met their maker in the past because the market doesn’t seem to want cars like this without the luxury names that we know. That was certainly one reason GM had to get rid of Pontiac and the models that were produced under that name. At one time in history there were different variations from GM for the power hungry sedans that we wanted to drive and whip around when the kids weren’t paying attention, but they’ve never been a sales giant. Whether it has to do with a lack of sales or the fact that GM didn’t support what the Chevy SS has become, this is the final year of a car that should have more time in the market and could easily be the best choice we have when we want something powerful but also functional. Unfortunately that doesn’t seem to be the direction we’re headed, which means if you want the Chevy SS and the performance offered with this car you need to act now and let the swan song of this car be part of the fun and enjoyment you have on the road with the most honest car on the market today.